Mani Shankar Aiyar was suspended from the primary membership of the Congress on December 7 last year for his "neech aadmi" remarks against PM Modi on the eve of the Gujarat Assembly polls. 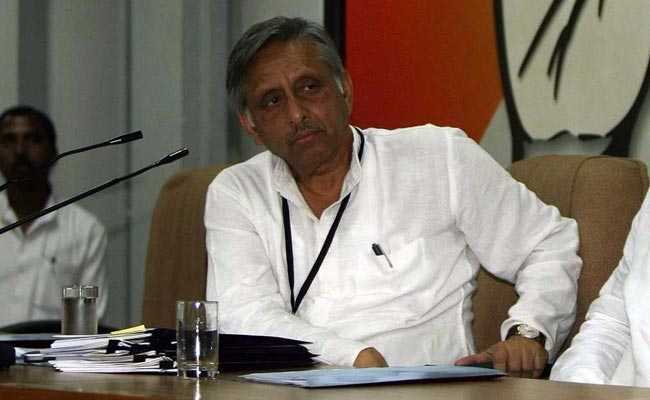 The BJP today took on Rahul Gandhi over the revocation of suspension from his party of Mani Shankar Aiyar, who had used objectionable language against Prime Minister Narendra Modi, saying it exposed the Congress chief and his "love for a person of many controversies". Mr Aiyar was suspended from the primary membership of the Congress on December 7 last year for his "neech aadmi" remarks against PM Modi on the eve of the Gujarat Assembly polls. Addressing a press conference at the BJP headquarters here, party spokesperson Sambit Patra questioned why Mr Aiyar was taken back by the Congress, wondering if the party was incomplete without him. "Rahul Gandhi had clarified that the Congress did not support Aiyar's foul language and that there was no place for such leaders in the party. But now, the way he has been taken back shows it was only a lip service and the Congress president stands exposed," he said. Citing various controversial statements made by Mr Aiyar against PM Modi, the BJP leader said he was the real face of the Congress. Referring to a tweet of Mr Gandhi where he said he was the Congress and the Congress was love, Mr Patra wondered whether this love was for Mr Aiyar, a man of many controversies. "Rahul Gandhi tweets, saying I am Congress and I am love and now, his love Mani Shankar Aiyar is back...a man of many controversies," he said. The Congress chief revoked Mr Aiyar's suspension from the party yesterday on the recommendation of its central disciplinary committee. Mr Aiyar had also courted controversy when he hosted a former Pakistani foreign minister and senior Congress leaders, including former prime minister Manmohan Singh, at his residence here ahead of the Gujarat polls. The issue had become a major campaign point for the BJP with PM Modi personally raking it up.